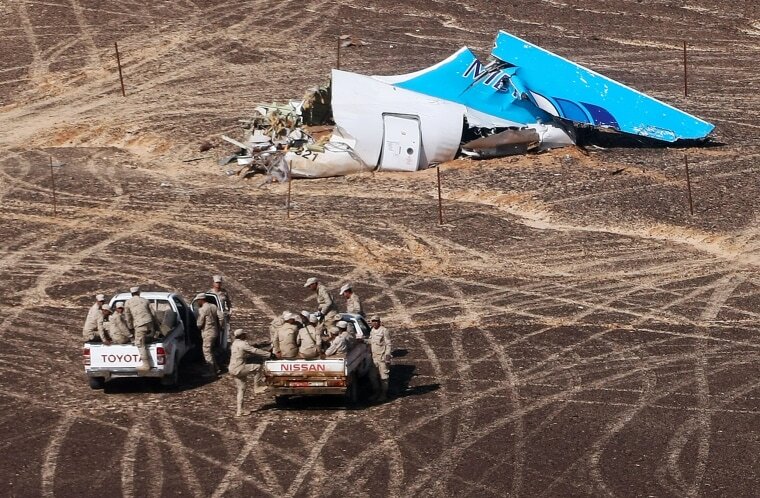 Russian forensic experts warned Monday it could take weeks or months to conclusively determine whether a bomb downed a Metrojet plane in the Sinai peninsula — the scenario cited by a growing number of officials. Sen. Diane Feinstein, D-California, vice chairwoman of the Select Committee on Intelligence, said Sunday on "Meet the Press" that there was a "strong probability" that a bomb caused the Airbus A321 to crash on Oct. 31 shortly after takeoff from Egypt's Sharm el-Sheikh airport. Her comments echoed previous statements from U.S. and British officials about the likelihood that explosives played a role in the crash — although Egyptian authorities have pushed back and warned against jumping to conclusions. Samples of debris from the plane has been flown to Moscow for analysis. Russia's RIA Novosti news agency reported Monday that forensic sources said a completed expert analysis could take three to seven days "minimum." Another forensic source was cited as saying the report into what downed the plane would take much longer. "The tasks for experts are: are there traces of explosives on the debris, and if yes, which explosives?" one source was quoted as saying. "A two-week time frame is more realistic." The source said the "complicated" circumstances — a blast at high altitude — would suggest multiple tests and checks also must be done to rule out any contamination of debris. "Such a study can take months," the source was quoted as saying. Egyptian investigators have said they are analyzing a "noise" heard in the final second of the Airbus A321's data recording — and some reports have suggested it could be the sound of an explosion. One working theory about the crash has been the possibility a bomb or explosives were smuggled into the plane's luggage hold. A source at Egypt's Ministry of Civil Aviation told NBC News that security cameras from the departure lounge and runway did not show any suspicious personnel or luggage in the vicinity of the doomed plane.